These waffles are high in carbohydrates and moderate in protein and fat. To decrease the carbs some you can use a no-calorie sweetener in place of the brown sugar or simply use less of the syrup. They have a good amount of protein in them, but add an additional small side of protein and a little fat to create a balanced meal and stabilize your blood sugar. Lightly coat waffle maker with cooking spray and add batter. Cook for 3-4 minutes. Meanwhile, combine all ingredients except marshmallows in a small bowl and stir. 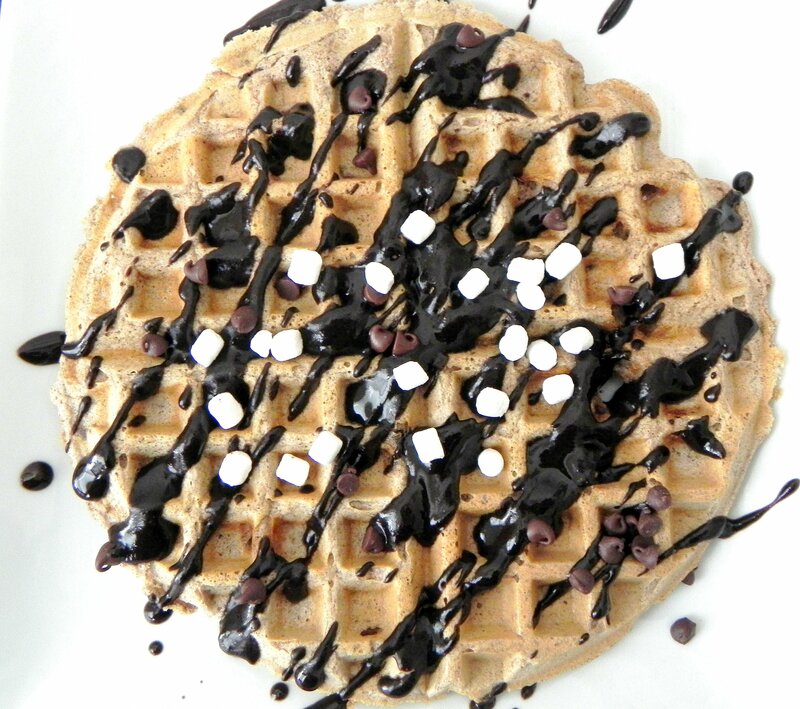 Top waffle with syrup and marshmallows.